Webshots Wallpaper & Screensaver | No Soap, Radio! 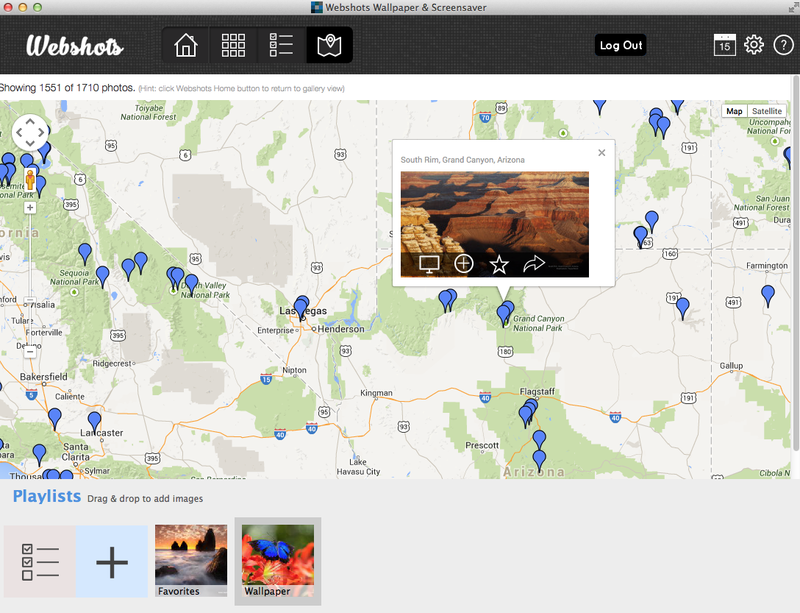 Find any Webshots photo on a map! Webshots Desktop matured into the first cloud based photo client. Over the course of several acquisitions, the code got dusty. Last summer, we set out to relaunch the original pioneer in desktop wallpaper and screensavers. And after 12 months of hard work, the Webshots Wallpaper & Screensaver v1.5 is rock solid and a great experience. After all these years, I find myself enjoying a new photo or two every day in a way that I didn’t even when we started. and when my machine goes into sleep mode, the screensaver takes over and it is still mesmerizing after all these years. Oh, and it is finally on Mac OSX as well as Windows. So what makes your day? Cute animal wallpaper, a screensaver of beaches, or just thousands of stunning images that comprise the best free wallpaper experience, period. 18 years and going strong. Oh, and millions upon millions served.